A WOMAN was arrested for neglect after a four-year-old boy went missing from home. The infant later turned up safe and well but that was after police launched a frantic search for him. 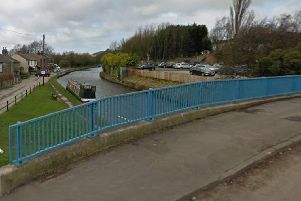 Police were called on Thursday morning after a member of the public saw him walking along Twist Lane on his own and reported it. The child ran off though and officers found him a short time later. They visited nearby business to ask them to keep a lookout with two writing on social media that the boy had no shoes on but that he was eight years old and not four years old. A woman was later arrested and bailed over the incident. A police spokesman said: “Shortly after 9.45am on Thursday 27 August 2015, police in Leigh received a call of concern for the welfare of a young boy who was seen alone in the street on Twist Lane. “The young boy ran off from the concerned member of the public and officers went to the area to try to locate him. “The boy, aged four, was found a few minutes later and returned by officers to his home address nearby.